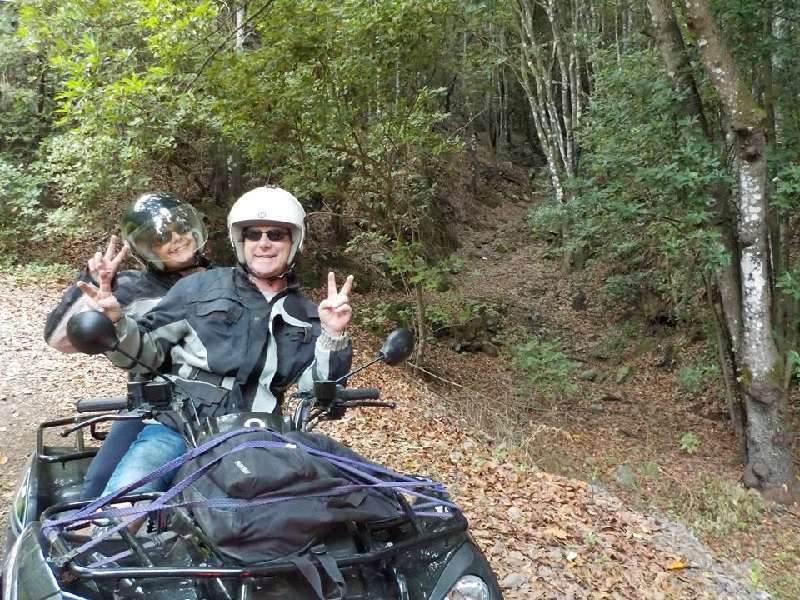 Excursion Discover Teide Forest 2h30: True initiation to the pleasure of the SUV, go for a fantastic ride to an exceptional area: the Teide National Park. Discover the two most famous volcanoes on the island, Mount Chineyro and His Majesty the Teide.For groups of up to three quads, your guide will take you to discover the Canarian pine forest, the true tree of life for the island.On the way we will stop at Mount Chineyro, the last volcanic eruption on the island in 1909. 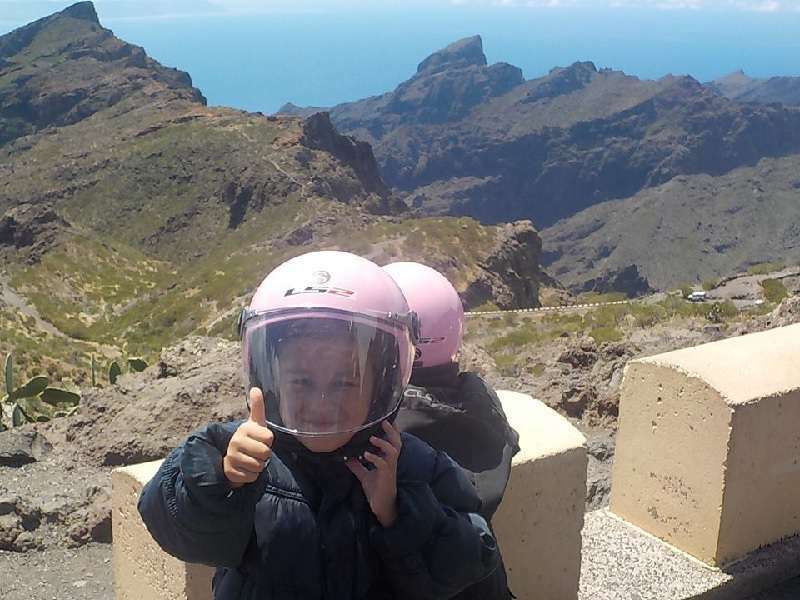 Excursion Masca (restaurant included) 4h: Excursion Discover Teide Forest when you discover this beautiful town that is Masca, you will also enjoy the Canarian cuisine. Excursion The route of the volcanoes 5h (restaurant included): From Santiago del Teide, a small mountain village at an altitude of 935m, passing through the gate of Santiago Del Teide at 1117 meters towards the northern coast of the island, passing through small climbing gardens typical of the Canary Islands, and then the descent through banana plantations of the village of Sillos bordering the ocean, to go for a walk along the coast (near Garachico) to discover the natural pools formed by the ocean. Then, toward the panoramic restaurant in the town of El Tanque, where you have a breathtaking view of the entire coast up to the Puerto de la Cruz, and where you will be able to enjoy the local delicacies that await you. 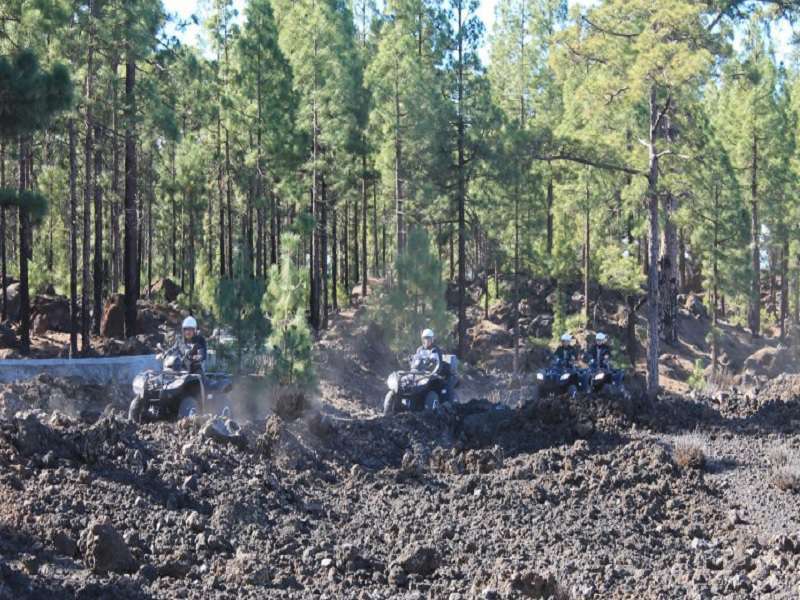 After lunch, you will go up to the heart of the last lava flow of the Chineyro volcano to join the slopes of the Teide National Park and the mythical Canarian pine tree forest, as well as the stunning views of the volcano. 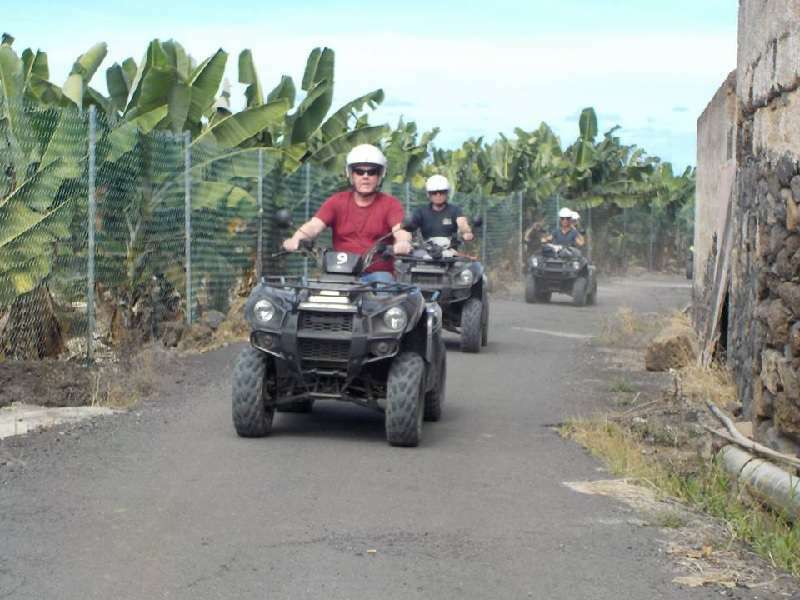 This ride in the heart of the island will allow you to leave the usual paths to discover Tenerife in a different way and the various breaks will allow you to glimpse unforgettable landscapes. 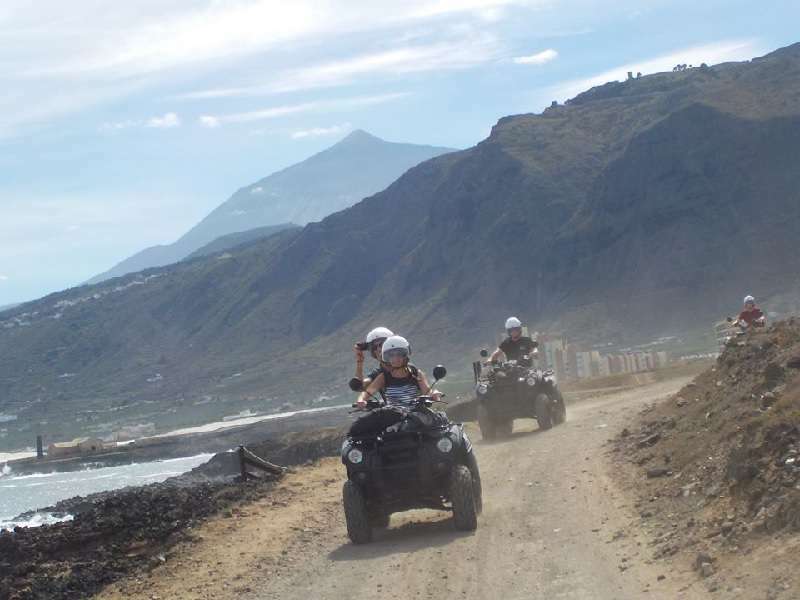 Quad and Jet Ski Combo - Full day excursion (restaurant included) Superb compromise between the sea and the mountain, go for 2 and a half hours on a quad, discover the Teide volcano via cross-country trails of the national park, beautiful pine forest and desert expanses of volcanic stones. The air of the mountain will give you a good appetite, and to add a cultural touch to the climb, you will take your traditional Canary Islands meal in the rural hotel of Santiago del Teide, which houses a museum of local crafts. After the mountain, you will go to the port of Las Galletas. 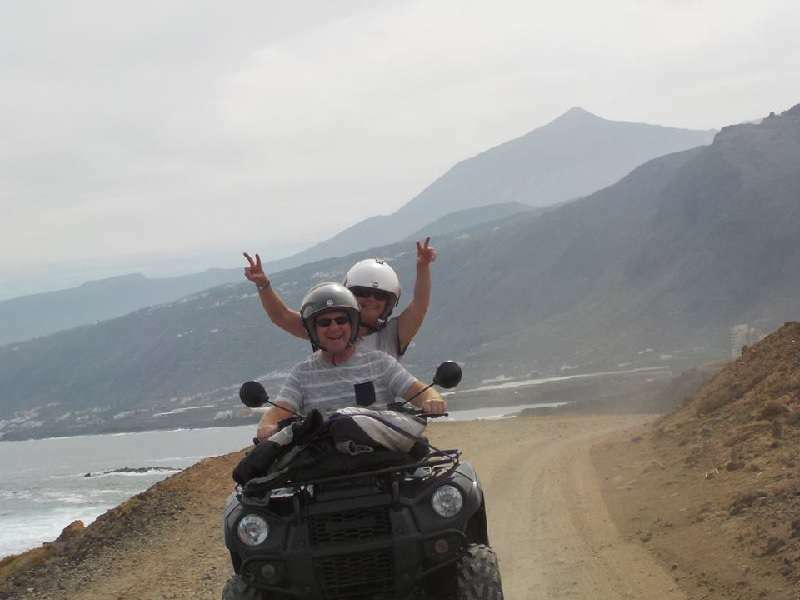 Tour of 2 hours on jet skis to discover the south-west of the Tenerife coast (from Las Galletas to La Caleta), and the cliffs of Palm Mar. We will continue our tour up to the La Caleta where we will organise a time for a swim above the habitat of two turtles fed regularly by diving clubs working on this site. 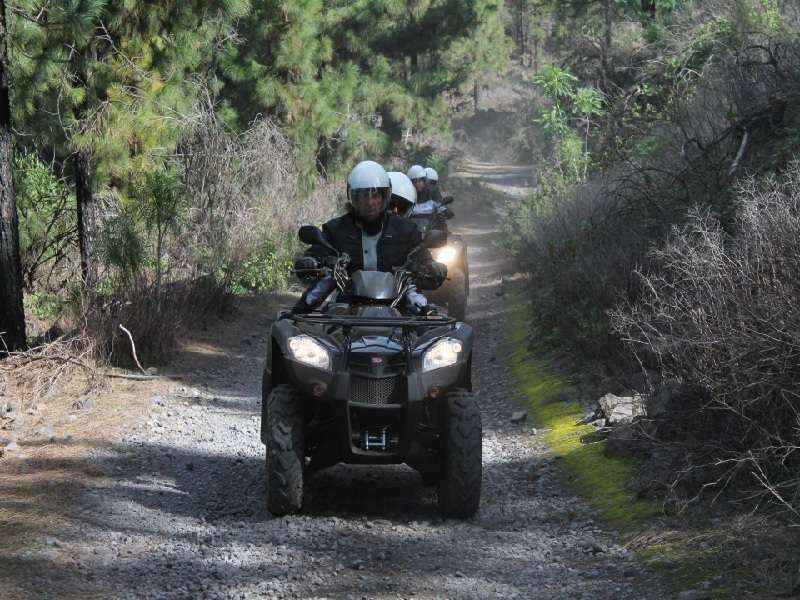 True initiation to the pleasure of the SUV, go for a fantastic ride to an exceptional area: the Teide National Park.Discover the two most famous volcanoes on the island, Mount Chineyro and His Majesty the Teide.For groups of up to three quads, your guide will take you to discover the Canarian pine forest, the true tree of life for the island.On the way we will stop at Mount Chineyro, the last volcanic eruption on the island in 1909. Excursion Discover Teide Forest when you discover this beautiful town that is Masca, you will also enjoy the Canarian cuisine. From Santiago del Teide, a small mountain village at an altitude of 935m, passing through the gate of Santiago Del Teide at 1117 meters towards the northern coast of the island, passing through small climbing gardens typical of the Canary Islands, and then the descent through banana plantations of the village of Sillos bordering the ocean, to go for a walk along the coast (near Garachico) to discover the natural pools formed by the ocean. Then, toward the panoramic restaurant in the town of El Tanque, where you have a breathtaking view of the entire coast up to the Puerto de la Cruz, and where you will be able to enjoy the local delicacies that await you. 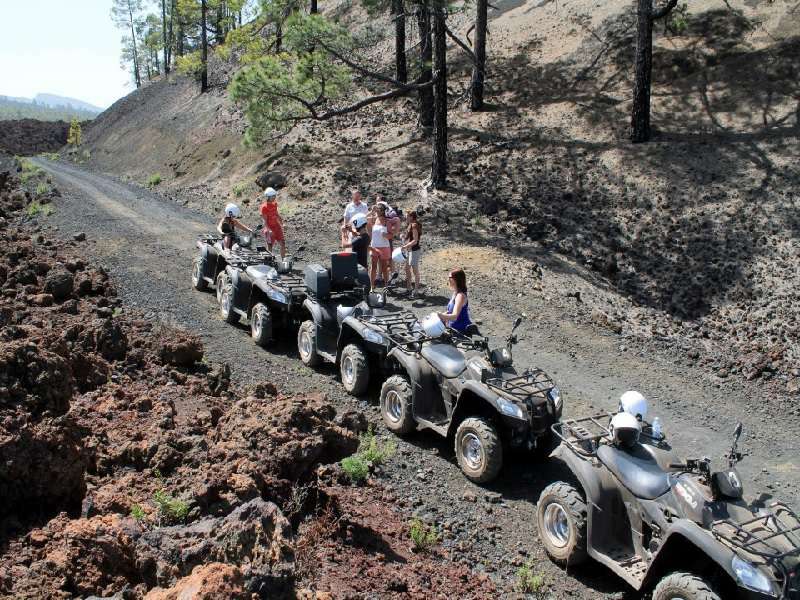 After lunch, you will go up to the heart of the last lava flow of the Chineyro volcano to join the slopes of the Teide National Park and the mythical Canarian pine tree forest, as well as the stunning views of the volcano. 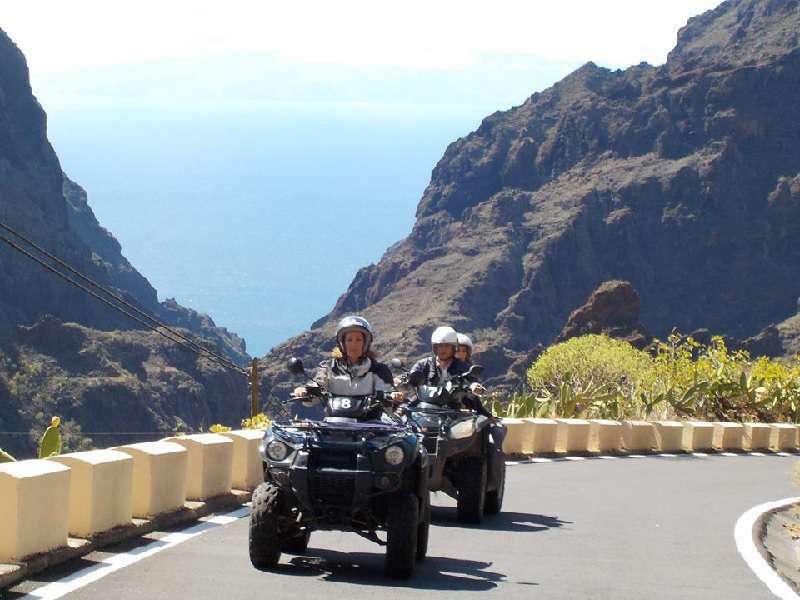 This ride in the heart of the island will allow you to leave the usual paths to discover Tenerife in a different way and the various breaks will allow you to glimpse unforgettable landscapes. 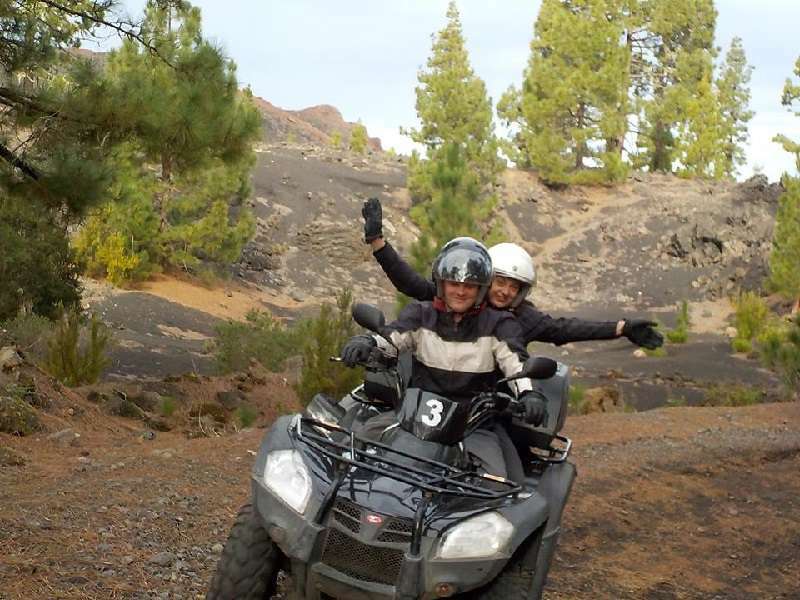 Superb compromise between the sea and the mountain, go for 2 and a half hours on a quad, discover the Teide volcano via cross-country trails of the national park, beautiful pine forest and desert expanses of volcanic stones.